Bamboo Round Bath Sponge is made with natural bamboo fiber and Polyethylene recyclable plastic. Unlike other only plastic made sponge, this sponge is packaged with natural bambo fiber cloth. 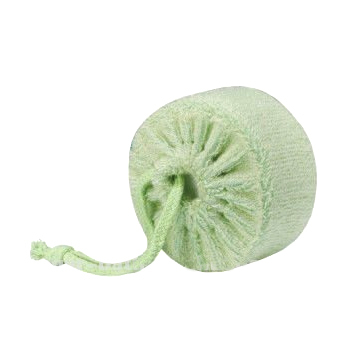 It is a very gentle and natural bamboo fibre sponge to make your washing just like a tender touch. Natural bamboo fibres carefully cleanse and gently massage your skin making it more attractive. Your extra gentle and sensitive skin will enjoy this sponge as well. With its ergonomic round shape it also easy to hold while doing cleaning. Made with natural Bamboo fiber and internal part made with Polyethylene (PET) (recyclable and has the number "1" as its resin identification code).